Finally team West Indies got the success in Test cricket. In the first match at Port of Spain, West Indies beat the Lions in 1st Test by 226 runs. Through the victory, West Indies is now leading the series by 1 – 0 game. Yes obviously the Lions has a chance to come back to the game still. There are two more matches left where if the Lankans would able to get victory in rest two times, they will win the match, But at West Indies, it would not be an easy job to do. After long time, Sri Lanka is travelling West Indies and they will play a Test series against Windies team. At first both teams have agreed to play a three matches series but later, CWI thought to bring some change. They wanted to play couple of ODI match in exchange for a long format match but ICC did not approve it. So, they are now in the Test schedule. However, earlier Sri Lanka played a tour match against West Indies President’s XI which consisted of three days. In 6th June, 2018 the first Test started officially. It was a five days Test match where at the Queen’s Park Oval the match took place. The local team Windies came to bat by winning the toss. In their first innings they scored 414 runs and declared the innings. They lost total eight wickets where one of their player made a unbeaten century. In return, Sri Lanka faced batting disaster in the first innings. He scored total 185 runs which was so poor but they did avoid follow – on. Against the bowlers of Windies, the Lions could not stand much longer. Later, West Indies came to bat for the 2nd innings. Openers failed to add much runs but Smith scored 20 runs and Brathwaite scored 16 runs only. Powell scored highest 88 runs in the match. Besides, captain Holder scored 39 runs. 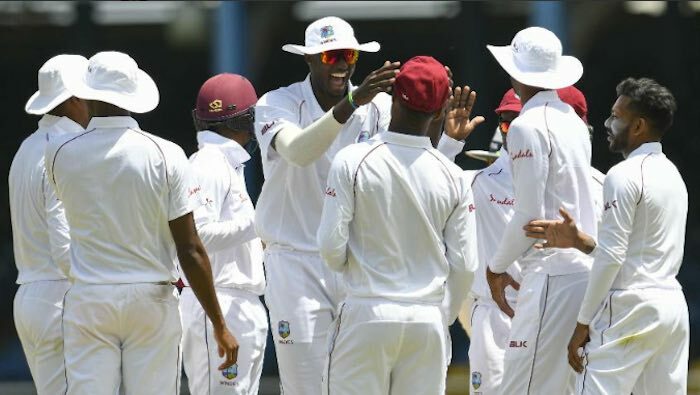 In exchange for seven wickets team West Indies scored 223 runs and declared their 2nd innings so far. Considering first and 2nd innings te local team successfully presented a big score in front of the Lions. Kumara took three wickets in 2nd innings for Sri Lanka. Later, Sri Lanka started to chase. Though, opening partnership did not work much but opener Mendis made a century there. He scored 102 runs highest. There were no players that gave him some support. Mathews scored 31 runs and Chandimal scored 27 runs so far. In 83.2 overs team Sri Lanka lost all wickets in 2nd innings where they scored 226 runs so far.